You believe that what is done in the past, can’t be undone. Then why muse over history and historical remains? You cannot fathom what is so amazing in ruins of ancient houses and would rather be amazed by a 50 storey modern construction! You believe that vacations are taken to eat, drink and be merry – loitering around in ruins is asking for too much when you are on break! 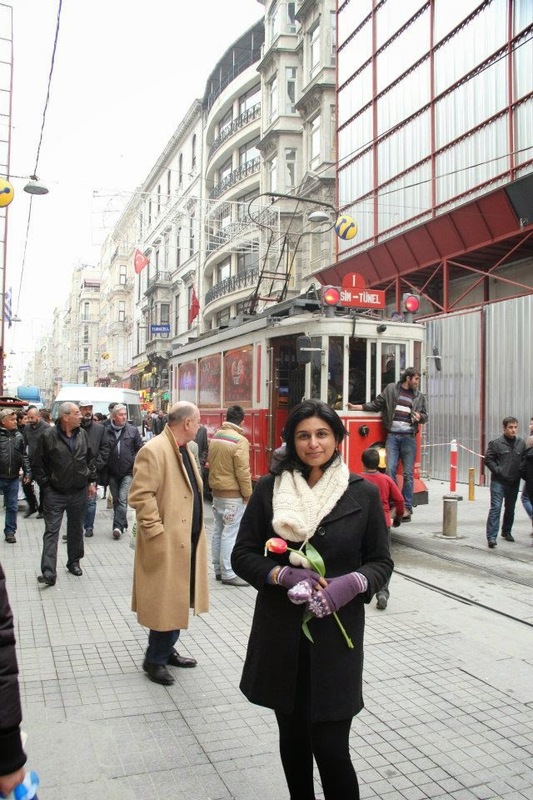 Along with Ankur, if you are part of this clan, worry not – Istanbul is your city too! Here are our top three picks, in no particular order of preference, for those who want to stay away from any and every monument, at least for a day. No visit to Istanbul is ever complete without seeing a belly dancer move. The music will make you tap your feet and want to dance. The only thing stopping you would be the thought in your head – ‘I will look like a monkey dancing next to the belly dancer!’. Well, that was the thought in my head….but it did not stop me from ‘monkey-ing’ around her! After having learnt belly dancing for three years, it was time to shimmy! We went for the belly dance and cultural show at Sultanas. The show included belly dancing, a performance by the famous belly dancer Didem, a couple of dances from the Eastern part of Turkey, a comic performance, which was really funny and dinner. The dance performances were good – but we saw better ones in Jordan and Macau (Yes!!! Macau!!!). The quality and taste of food was average. The price included pick up from and drop to the hotel. This was an expensive evening – it cost us approximately USD 65 per person. Somehow we did not think it was value for money, maybe because we did not like the food much. 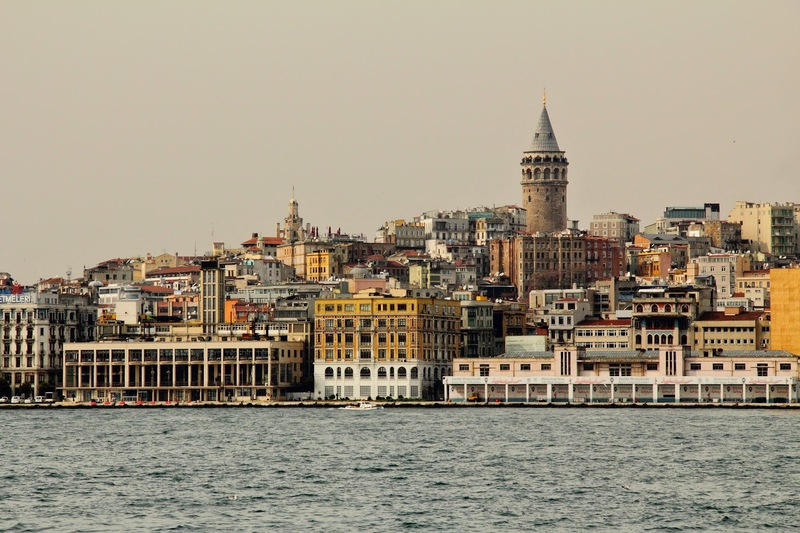 The dinner and belly dance at the Galata Tower is recommended by a lot of tour agents in Istanbul. This show is even more expensive than the one at Sultanas and costs approximately USD 75 per person, inclusive of dinner. We were told that the setting here is better – you sit in a restaurant on the upper deck of the tower and enjoy your dinner as the city lights up and the little boats float over the Bosphorous strait. Of course yes… The belly dancer will be there! There are a few places in Istanbul where you can see the whirling dervishes. Hodja Pasha is one such place, which was recommended by our B&B host. However, we had seen the dervishes in Mumbai and chose to give it a skip. 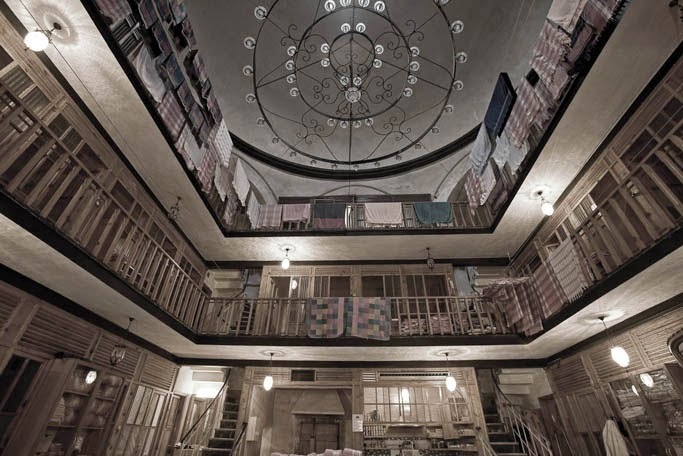 Much is said about the Turkish hamams – architecture and experience. It is very high on the ‘must have’ experiences for a lot of people. The two most famous hamams in Istanbul are Cemberlitas and Cagaloglu . Our choice was Cemberlitas as it was closer to the Sultanahmet area and we just strolled into the place on a cloudy afternoon. This hamam was built by the famous Ottoman architect Mimar Sinan in 1584. Getting yourself scrubbed to get a squeaky clean skin isn’t cheap! The experience cost us approximately USD 50 each, which included towels, inner wear for the hamam, srubbing mitts and obviously, the scrubbing experience. If you are expecting pretty girls to come and scrub you in the hamam – you are about to have some dreams shattered! Men and women have separate areas. You can be in the hamam for as long as you want – while the scrubbing experience lasts for 15 minutes only, you can lie on the hot hamam marble and sweat it out …for as long as you want! A cruising trip or a city walk is amongst the first things that we like to do in new city. It’s like seeing the trailer of a movie, which is soon to be released. It gives a peek into the sights of the city and lets us pick which monuments would we want to spend our time viewing during the rest of our stay. Our first morning in Istanbul was cold, but sunny. We pottered around in the Sultanahmet area and we were evidently mesmerized by the Ottonman structures. ‘We are tourists’ was written all over our faces and we were easy targets for all tour agent to push the Bosphorous cruise. 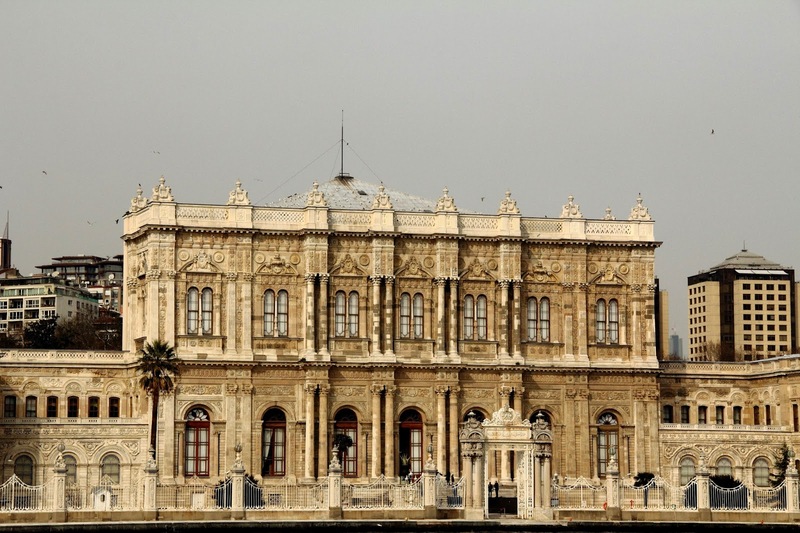 As the cruise is amongst the ‘must do when in Istanbul’ on many guidebooks, we decided to hop on one and view the city. We agreed to the pay TL 35 per person for the cruise, the short one, which lasts 2 hours only. Later on, we figured out that we shouldn’t have paid more than TL 20. The Bosphorous strait traverses 31km and connects the Black Sea with the Marmara. As you set sail on the water body, you will be able to witness the history that the city has lived through. Ok…so this day is not about history. I was pretty impressed with the civil engineering work of the Turks- the three bridges built across the strait rekindled the engineering student in me that was in deep slumber. And oh, there were jelly fish in the water – lots and lots of them! As it was the first time I had seen jelly fish, I was really excited. I made a mental note to move up ‘Swimming with the jelly fish in Palau’ to the top three items on my bucketlist! 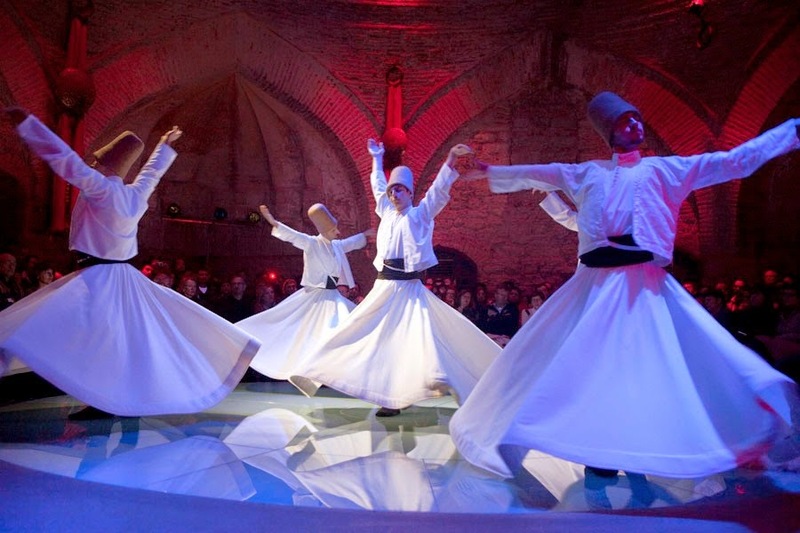 Cultural shows: The whirling dervish ceremony is a religious event. Do not clap when it ends. You can book tickets to the events at Sultanas and/or Hodja Pasha online. Your hotel/B&B can do the same as well. Recommend booking it through the hotel as they would be able to include pick up and drop as well. Boshphorous Cruise: The boat is crowded and the seating arrangement is not the most comfortable. Reach in time to get place. We went for the cruise in February – it was cold and windy, even though it was sunny. Carry a scarf and a jacket if the whether is even slightly cold – it is very windy on an open boat. As always… Send me an e-mail if you need any further details. Glad to help! Let the travellers’ tribe grow! I loved a Hammam! Istanbul looks really beautiful, it has never appealed to me but I love the look of the cultural show! Beautiful pictures by the way! Istanbul is one of my favourite cities, sadly i was only there for 1 night, but would love to see some cultural shoes and take a cruise along the Bosphorous! I have always wanted to visit Turkey, Istanbul in particular, but have never quite got round to it. The Whirling Dervishes, the history, the Bosphorous, the belly dancers, and, of course, the food have all been on my radar for a while. Good post – well written, and lovely to read. Great post with lots of tipsy! I agree about the foot tapping to the belly dancing and I would probably look like some sort of dancing monkey next to the belly dancer haha. The cruise would be lovely as it also give you a rough idea of other locations on where to go. Ahhhhh beautiful Istanbul! What an incredible place to visit. Belly Dancing was totally amazing – but I must agree with you…. I did see better in Jordan. Although I am super surprised by your Macau comment. That’s awesome! And the hammam is awe-sommmmee! I mean they scrub and scrub to the point where I didn’t know if there was any more skin left! But gosh I felt squeaky clean at the end. I agree with you though – it’s a bit of a hefty price to pay, but hey, it’s a great experience! I would love to see Istanbul but concern about safety so thank you for sharing. The Hammam I would like try. Great photos.